Well, Harper Lee is back—though for millions of readers like me, she never left. Ever since my first reading of To Kill a Mockingbird I’ve daydreamed about what other work she might give us and could never quite resign myself to her status as a “one good novel” writer. When the news broke about Go Set a Watchman I cautiously filed it under the heading Too Good to Be True until the story was confirmed and a publication date was set. Warning: I’ve tried to keep this post free of major spoilers, but if you want to read the novel without knowing anything in advance, then proceed at your own risk! Jean Louise “Scout” Finch is on the train from New York, headed to Maycomb, Alabama, for her annual visit home. Not two pages into the novel, she manages to get herself folded into the wall inside the pull-down bed and has to be rescued by the porter—a scene that made me grin, but also kept resonating with me throughout the story as she returns to small-town society and tries to cope with its confinements and constraints. 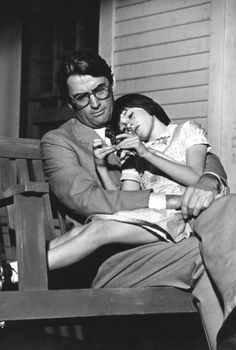 Some things remain the same, such as the continued pressure from her Aunt Alexandra to behave more like a “lady” and Scout’s iron-willed determination to do nothing of the sort: "Atticus raised his eyebrows in warning. He watched his daughter’s daemon rise and dominate her . . . When she looked thus, only God and Robert Browning knew what she was likely to say." Other things, however, have shifted dramatically. This is the 1950s, the beginning of major social changes in the South, and even in rural Maycomb there are heated discussions about racial tensions, the NAACP, and the White Citizens’ Council. If Watchman was indeed an early treatment of Mockingbird, it’s easy to understand why a publisher would have been wary of it in the early 1960s and would have handled the manuscript like an unexploded bomb. She did not stand alone, but what stood behind her, the most potent moral force in her life, was the love of her father. She never questioned it, never thought about it . . . she never realized what made her dig in her feet and stand firm whenever she did was her father; that whatever was decent and of good report in her character was put there by her father . . . The Finch doorbell was a mystical instrument; it was possible to tell the state of mind of whoever pushed it. Alexandra declared that Aaron Stein was the greediest boy she had ever seen, that he ate fourteen ears of corn at his Menopause. In this story as in Mockingbird, Harper Lee has that gift for narrative that keeps you turning page after page to see what will happen next, even if what is happening takes place inside her protagonist’s mind. I look forward to re-reading Watchman after the dust has settled a bit to see how it will strike me then. But these are only my impressions from a first reading. To form your own impressions, visit your library and go place a hold for Go Set a Watchman. Get Prizes for Something You're Already Doing! After helping a patron locate a book she wanted, I asked if she’d like to sign up for Summer Reading for adults. “Oh, no! I’m too busy!” Other patrons have answered the same question with “Isn’t that just for children?” or “What books do I have to read?” I hope to clear up what Summer Reading is all about and why everybody should sign up at their local library! 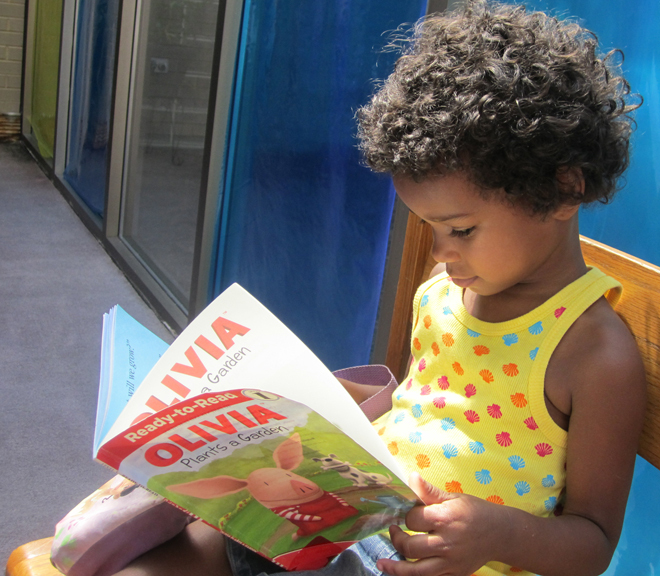 Summer Reading encourages everyone to read. Babies can be signed up and have books read to them. Toddlers can read picture books. Older children can read chapter books. Teens and adults can choose anything they like to read (e-books and audiobooks count for everyone, too). Libraries want families to read, to be aware of all the materials and programs at their local libraries, and to become part of the library community. readers there are goals to be met to qualify for prizes, and the more books they read, the more prizes they can win. For older readers, every book read increases their chances of winning a prize incentive. The books don’t have to be any specific title and they don’t even have to be library books—it can be anything you like. So, if you read at all, you should sign up for Summer Reading and put your name in the hat to win prizes for what you're already doing. 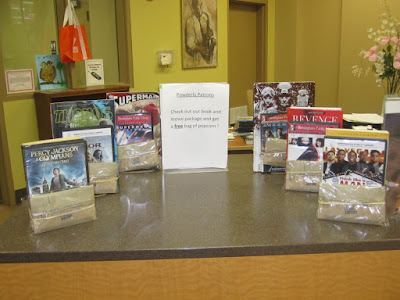 There are also programs, and most libraries offer door prizes for adult or teen attendees. The programs are all related to different themes so we don’t just offer the same things over and over. 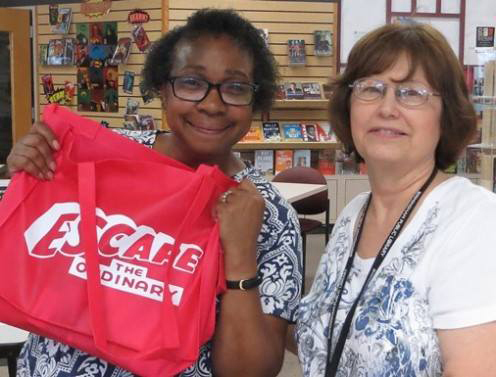 This year’s Adult Summer Reading theme is Escape the Ordinary and programs offered explore ways of escaping your routines. Teen Summer Reading’s theme is Unmask and, along with the children’s Every Hero Has a Story theme, the programs involve superheroes. You’ll have fun and learn something that you didn’t know before, meet new people, and find out what’s going on in your neighborhood. Best of all, these programs are FREE! There’s lots going on all year round at your local library, so when you’re looking for something fun to do or you need to know the right answer to a question, or you’re bored or the kids need a change of scenery and you really don’t want to spend any money, check out your library. Every item checked out (including downloadables) strengthens your local library. Our collections are kind of like muscles—the more they’re used, the stronger they become—so please give them lots of exercise by taking some items home with you! 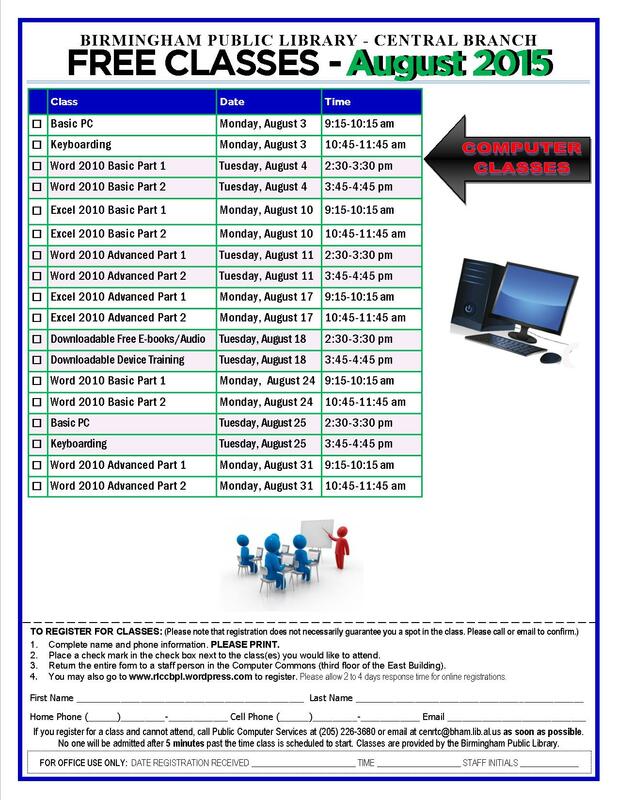 Although Summer Reading started in June and is well under way, some locations are still having programs through July. Take a look at Birmingham Public Library's list of activities on Birmingham365 to see what's scheduled through the summer and beyond. And children and teen participants in the summer reading program may continue reading and logging their books to win prizes through August 5. For the adult summer reading participants, keep reading as many books as you can because on August 7 and 14, grand prize winners will be drawn from all the summer reading entries. For more information on Summer Reading for all ages, visit our website and Birmingham Public Library's Adult Summer Reading's Facebook page. As the weather has warmed up, I’ve noticed more and more patrons hanging out in the library’s parking lot after the building has closed for the day. They are on their phones and tablets, taking advantage of the free Wi-Fi service that each Birmingham Public Library branch offers. I’ve even seen people take out a lawn chair and get really comfortable while searching the Internet. It made me start to think about how Birmingham Public Library offers services to our patrons, even when we’re not open during business hours. We have our catalog, which allows patrons to search for materials, put a hold request on them, and pick up that item at any location that they wish to. Have a paper that’s coming due tomorrow and you’re still looking for research? 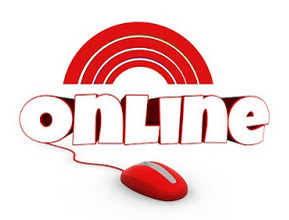 Enjoy access to one of our many databases available to you day or night as long as you have a library card. Got a new favorite song that you want to hear all the time? Download the song to your phone or device via Freegal. Your library card opens up a world of resources to you and most of these are available at any time that’s convenient to you. Have you ever wanted beautiful plants in the summer but dislike the heat and outdoors? 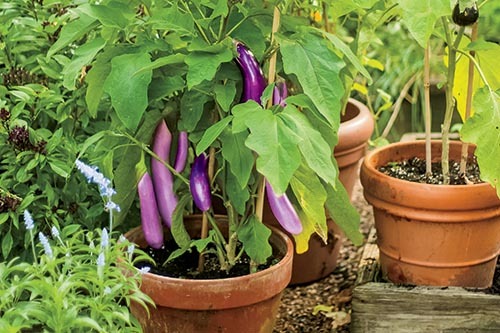 One solution is to begin your gardening journey by creating container gardens. They provide flowers, fresh vegetables, and herbs as well as providing an attractive landscape. Whether your space is tight, you don’t have time, or you’re new to gardening, container gardening is simple and will add an attractive feature to any environment. Listed below are library resources and websites to assist you in planting your container garden. There are a lot of good movies out this summer and the theaters are packed each and every night. But don't forget about the library when you're thinking about the evening's entertainment. 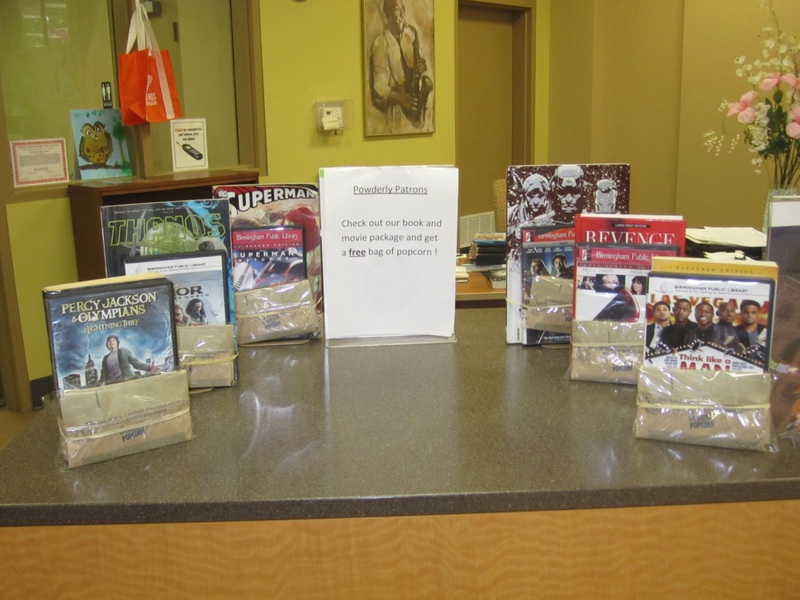 The Birmingham Public Library is offering some of the hottest new DVD releases of the year. On the list are the extremely popular Fifty Shades of Grey to the humorous Hot Tub Time Machine 2. My personal favorites, though, are the action movies which include Kingsman: The Secret Service, Run All Night, and The Equalizer. If you’re out in the Powderly area and need a good movie/book combination and wouldn't mind a free pack of popcorn, please pay us a visit. Our combo packages are fantastic and will be well worth your time. Make it a movie night! 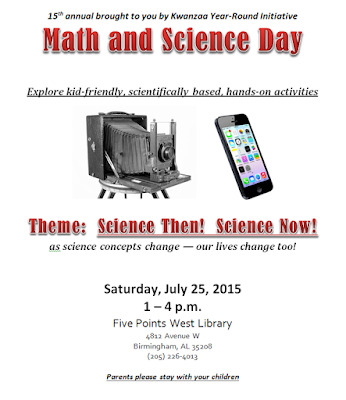 The 15th Annual Math and Science Fun Day will be held Saturday, July 25, 2015, from 1:00 to 4:00 p.m., at the Five Points West Regional Branch Library. This year’s theme is Science Then! Science Now! which will trace how science concepts have changed over the centuries and how these changes affect our society and the world. The program is free to all ages and allows youngsters to get involved in kid-friendly, scientifically based, hands-on activities. The event will feature knowledgeable and fun presenters. Parents are encouraged to remain with their children. Families will explore household products with magical properties, examine the origin of motion pictures, view early telephones, trace how automobiles demanded the invention of the traffic light, and get the inside scoop on motorcycle engines. Participants will have the opportunity to weave a yarn craft and compare it with spun nylon products, design their own amazing Styrofoam millinery, examine why the Stetson hat was popular in the Wild West, and learn the value of the stethoscope in diagnosing pneumonia. Additional activities include constructing a dinosaur and mathematically planning a garden. “We love to see our children learn and get involved. 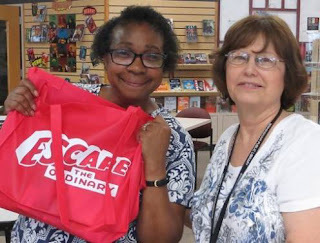 Nothing is more exciting than seeing the human mind enjoy learning,” according to retired educators and organizers of the event, Winfield and Elinor Burks. For more information, contact the Burks at 205-786-3731 (h) or 205-515-9462 (c) or winfieldburks13@gmail.com. The opening reception for Birmingham artist Matthews Mayes' exhibit, Layers of Meaning: Paintings by Matthew Mayes, will be held on Sunday, July 19, 2015, 2:30-5:00 p.m., in the Central Library's Boardroom adjacent to the Fourth Floor Gallery. The exhibit will be on display through September 4, 2015. "Once, I believed that love, food, and music were the core passions that transcended all race, creed, and color. Now, I know that art encompasses all," he states. 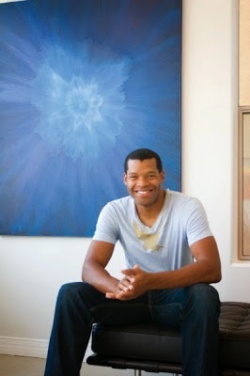 Regarding his creative process, Mayes observes, "I allow natural ability combined with a trained eye to create. Without both, my art could not exist." 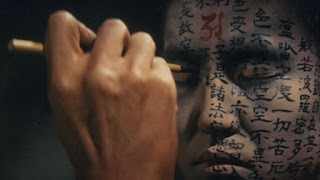 Kwaidan (1965) - Not a movie, but four. Four short films on supernatural themes based on the Japanese folktales collected by Lafcadio Hearn. All are powerful and resonant, but the standout is Hoichi The Earless, in which a monk-musician is commanded by ghosts to sing of the deeds they committed when they were human. Hoichi’s fellow monks paint scriptures all over his body to protect him from ghostly harm, but fail to include his ears. The ghosts appear ritualistically and frequently, but they never lose their quality of otherness and strangeness. In A Cup Of Tea, a man drinks another person’s soul and lives to regret it. Masaki Koboyashi’s masterful direction of the tales ensures that their weird and disturbing nature is always realized in striking imagery which arises organically from the material. Here the supernatural is captured in ways that are never gratuitous and therefore highly effective. The supernatural has never been more beautiful than it is in Kwaidan. That is part of why it entraps its victims. 3 times. Gandhi (1982) - Director Richard Attenborough spent most of his life trying to make a film about the founder of modern India. That he succeeded is almost miraculous. Almost no one wanted such a film, and he was assured by nearly everyone that it would be a money loser. It took him decades to raise the money. That it became a critical and commercial onslaught is one of the many ironies of Gandhi. Gandhi, the man who made MLK, and therefore modern Birmingham and America possible, thought of himself as a scoundrel. and that’s why he had such patience with British oppressors and unreliable fellow Indians. The film is part of a small handful of movies that limn spirituality in a credible manner, avoiding sentimentality, overreach and hagiography. When I saw it in its initial theatrical release, the audience—men, women, children—gasped and cried in near-unison. It was an extremely powerful and cathartic experience. Some militantly secular (or militantly cynical) critics have gone on record gainsaying Gandhi but it has outlasted them, quietly perching on British best movies lists. 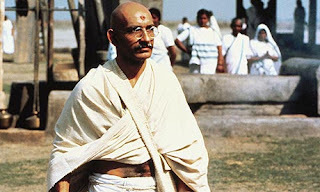 That Gandhi was played brilliantly by a half-British, half-Gujarati (Ben Kingsley) is something that I think Mohandas Gandhi, who appreciated irony, would have appreciated. Kingsley’s portrayal is, by turns, knowing, serene, cantankerous, and grounded; it’s always believable. One of the most indelible roles in film history, it really is one for the ages. It’s British epic filmmaking in the grand manner, but not lacking in intimacy. British epic film—now there’s an extinct category for you. About 10 times. 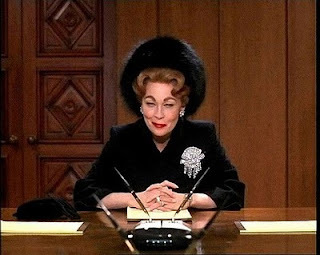 Mommie Dearest (1981) - From the sublime to the ridiculous. Well, sort of. Another biopic, but one that unwittingly became a camp cause celebre. Faye Dunaway’s portrayal of Joan Crawford is hilarious and shocking, but after quite a few viewings, its darker moments do add a counterpoint to her Himalayan over-the-top lead performance. I’m not trying to give much gravitas to this shock-horror extravaganza, but fair is fair. John Waters, who knows a thing or two about camp, admits in the commentary track that Dunaway’s really is an amazing performance. Except for the rosebush scene (“Tina—bring me the axe!”). Though Dunaway-as-Crawford has been parodied by legions, there are a couple of scenes in Mommie Dearest that are so dark that they’d make even a jaded drag queen blink. Dunaway isn’t everything, though. Diana Scarwid as Crawford’s adopted daughter is the very picture of cowed codependency. A signal performance. The gestalt of Hollywood as fake, empty, and glitz-dead is very effectively, even damningly, conveyed. Cringe-worthiness never had it so good, but there’s more going on here than that. At least some of the time. Hamlet’s flaws make it stronger, and, though Mommie Dearest sure enough ain’t no Hamlet, it does have enough contradictions, odd resonances, and a dark sensibility that it is…No, not great. Not something that won’t embarrass you. Just compelling. And interesting. And reckless and potent and fun. How many movies can you say that about? It’s just too bad it destroyed Faye Dunaway’s career. No, she isn’t on the commentary track. Around 6 times. Nelle Harper Lee was born in 1926 in the small town of Monroeville, Alabama. She was reared by her attorney father who also published the local newspaper. From an early age she developed an appreciation for the written word and also became an astute observer of the good, the bad, and the ugly found in the small southern town of her era. Thirty-four years later (1960), when her now famous novel To Kill a Mockingbird was first published, her editor warned her not to be disappointed if it only sold a modest amount. The print-run was only two thousand. It became an instant bestseller, and since its print debut, it has never run out of print with recent tallies showing more than 40 million copies sold in more than 40 languages. It regularly appears on many high school reading lists, yet oddly has been frequently challenged by many would-be censors. Perhaps the most prestigious award was the Pulitzer Prize which it garnered less than a year after its initial publication. This southern gothic, coming-of-age story is so well known to most readers that a recanting of the plot and narrative would seem to be redundant. What is worth mentioning are the vast number of themes and topics woven together throughout the novel. These include, but are not limited to, racial inequality, racism, classism, sexism, local traditions, taboos, mental illness, alcoholism, gender, loss of innocence, justice, and the lack thereof, and courage. Atticus answered her many questions. In 1962, a film of the same title was released starring Gregory Peck, Mary Badham, and Phillip Alford. The film received eight Academy Award nominations and brought home three Oscar wins. A play was also spun from the novel and is performed annually in Monroeville. After several years of enjoying, or at least tolerating, her new-found fame, Lee turned her back on it altogether, refusing interviews, audiences with fans, and suggestions that she should produce another novel. She also suffered the insults of those who publicly opined that she was not the author of Mockingbird. Many of these detractors suggested that her close friend Truman Capote wrote it entirely or that he edited it heavily. (Capote did write on the dust jacket for the first edition.) Some question, that if she were the true author of this bestselling, popular, modern masterpiece, why did she not publish another novel as so many years rolled by. WHOA! . . . not so fast. 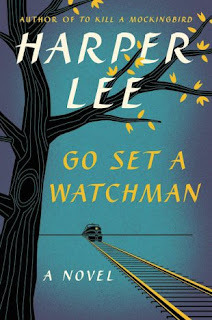 Today, July 14, 2015, a second novel by Harper Lee titled Go Set a Watchman is being published. This, simply put, serves as a sequel to To Kill a Mockingbird since it includes some characters from the 1960 novel and is set twenty years later in time. The truth is that Watchman was written in the 1950s, several years before Mockingbird was written. Lee originally submitted Watchman to her publisher and it was rejected. She was given the advice to write another novel by expanding on flashbacks found in Watchman to feature a much younger Scout as the narrator depicting life and episodes from a small southern town. While Mockingbird is fiction, it is plausible to think of the novel’s Maycomb as a fictional Monroeville. Other autobiographical influences seem evident as well, as Lee, like many novelists, was writing on that which she found personally familiar. Given what is now known about the development and time frame of Watchman, one cannot help but wonder what to expect from the sequel. 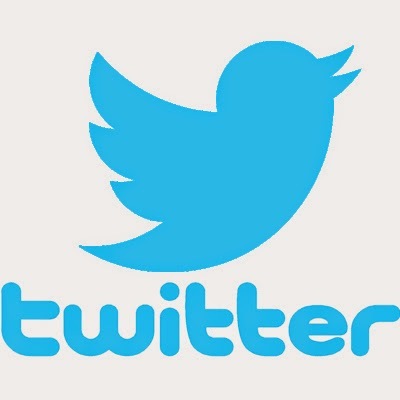 Surely the characters and social mores will have necessarily changed over time. How will Watchman resonate with long-time fans of Mockingbird? Will major Mockingbird fans accept or reject Watchman? After reading Watchman, will some Mockingbird fans change how they think of and feel about Mockingbird? Will this publication, after more than 50 years of silence, make a significant change to Harper Lee’s legacy? Anticipation is running high and pre-orders are shattering previous records. Don’t miss the book event of the year. Reserve your copy today online, or contact your favorite BPL location in person or by telephone to secure your place in line. While you are waiting, you can get a sneak peek here. Or a sneak listen (with Reese Witherspoon) here. 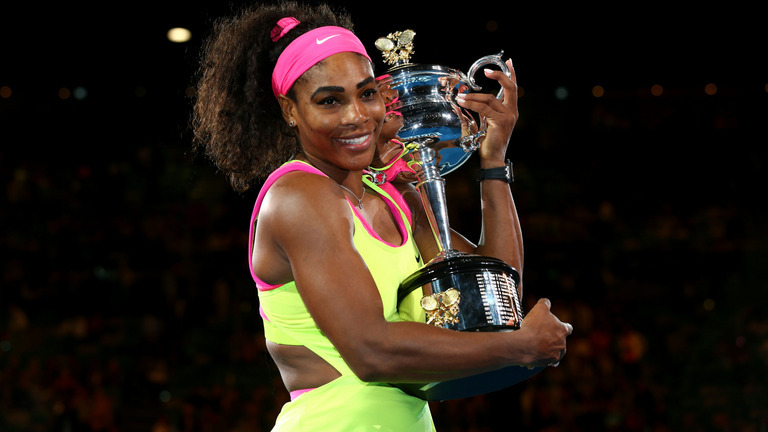 Serena Williams: Best of All Time? Serena Williams, at thirty-three years old, has accomplished a feat that few professional tennis players have ever achieved. Beginning with last year’s U.S. Open Championship, she has won all four of the Grand Slam tennis tournaments (U.S. Open, Australian Open, French Open, and Wimbledon). 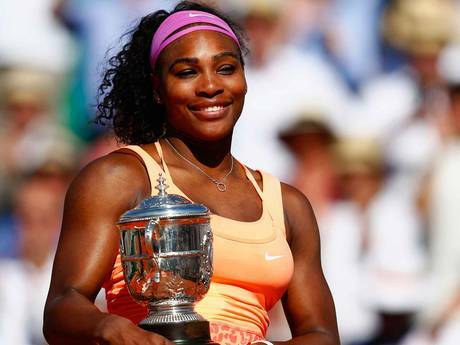 The tennis world is calling it the Serena Slam. If she wins this year’s U.S. Open Championship, she will complete a calendar-year grand slam, making her only the fourth woman ever to do so. To appreciate how difficult an accomplishment this is in tennis, only 7 men and 10 women (including Serena) have won all four Grand Slam titles during their tennis career. Furthermore, of the men and women who have won all four titles over the course of their career, only 3 women and 2 men (one did it twice) have done it in the same calendar year. 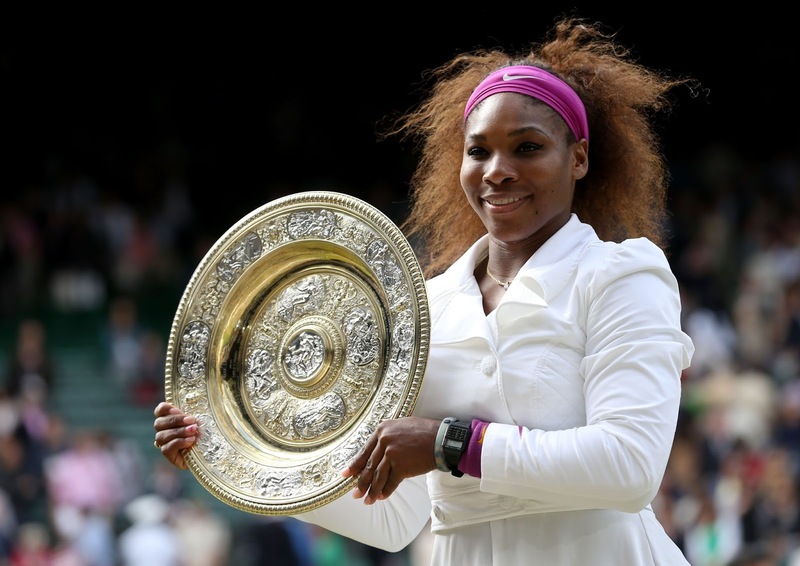 Serena has managed to win four straight Grand Slam titles while playing on three different surfaces (hard courts, clay courts, and grass courts) in four different countries. As a tennis fan, I marvel at Serena’s ability to battle through match after match and find a way to win, even when she’s not playing her best tennis. Whether you’re a fan of tennis or not, you can’t help but acknowledge that Serena is an outstanding athlete. She has won 21 Grand Slam singles titles in 25 appearances. Playing with her sister Venus, she has won 13 Grand Slam doubles titles and three Olympic gold medals in doubles. 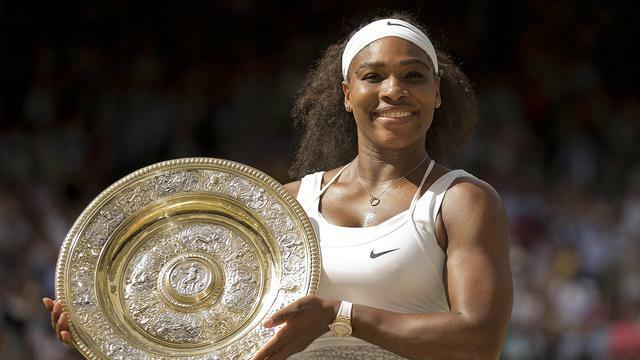 Serena has also won two Grand Slam titles in mixed doubles along with a gold medal in singles tennis at the London Olympics. Playing as well as she is at this point in her career, if she is not the best of all time, she will certainly be counted among them. Release of Harper Lee’s new book reminds us that stories can have a lifelong impact on readers and listeners—sources for the stories come from many people, places, and adventures. 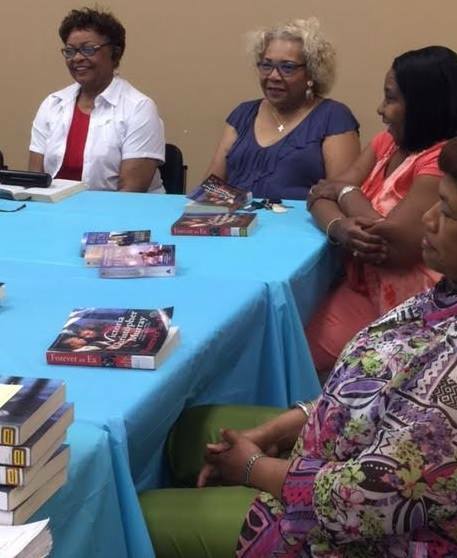 (left to right back row) Raymond McDonald, Whitney Garner, Casandra Scott, Chauntel Norris, Charlotte McVay, Candice Hardy, Candace Thompson; (left to right front row) Myra Gentry, Eve Parker, and Lynn Carpenter. Practically each week, in libraries throughout the city of Birmingham, families gather in small spaces to enjoy stories led by seasoned library storytellers. The major objective, states Eve Parker, "is to catch them in the cradle and hopefully create lifelong library users." 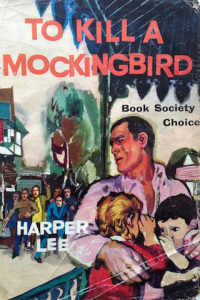 Just as Harper Lee referenced memories of growing up in small-town Alabama to create a following of worldwide readers with her book To Kill A Mockingbird, library storytellers use music, tales passed on by grandparents, and their favorite books to create an imaginary world filled with colorful characters, all designed to teach, inspire, and create enduring remembrances for listeners. "I begin each Tot Time with the Bean Bag Rock," Parker said. "The song encourages gross body movement, listening skills, following directions, and identification of body parts. These stories and songs stick with the children, and quite often the adult participants, for years." For many library visitors, storytime is the first opportunity to experience live, theatrical-like performances. Storytellers have unique opportunities to touch lives in memorable ways which often influences behavior, decisions, or encourages further exploration. Parker recalls a conversation she had about two years ago with a young woman outside of the library. "She told me that she attended my storytimes at North Avondale when she was a student at Whatley Elementary School. The student was so inspired by the musical instruments that she signed up for band when she got to middle school. She thanked me for that." 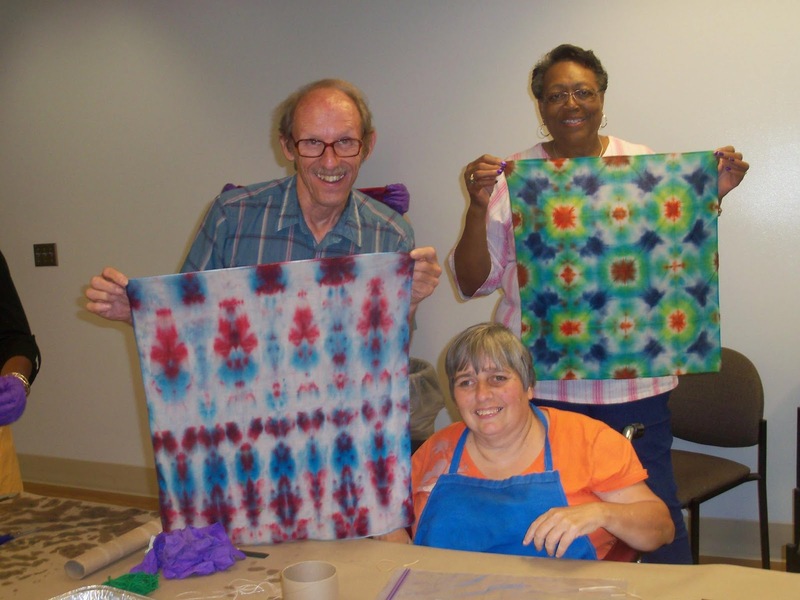 Participants can often find a variety of stories presented by various library storytellers. Casandra Scott has worked as a storyteller for the past fifteen years. She brings with her over twenty years of experience working in theatre production and design. Scott believes storytellers have a responsibility to their listeners that goes beyond entertainment. "We are responsible for their well-being in the choosing and telling of a story. I like to build around a theme—an anchor that provides context for what we are about to see and hear. A theme can be concrete like 'bears' or something conceptual, like 'kindness' or 'cooperation,'" stated Scott. Just like the memorable books written by authors such as Harper Lee, library storytellers impact lives in remarkable ways—the stories live on with the listeners. Several years ago, after a session with one of her weekly preschool groups, Scott remembers a little girl who loved listening to and telling stories and what she had to say. Scott recalls the student saying, "Ms. Cas, when I grow up and go to a place where you're telling stories, can I come on stage and tell stories with you?" Scott’s response was, "Oh yes! And I look forward to that day." 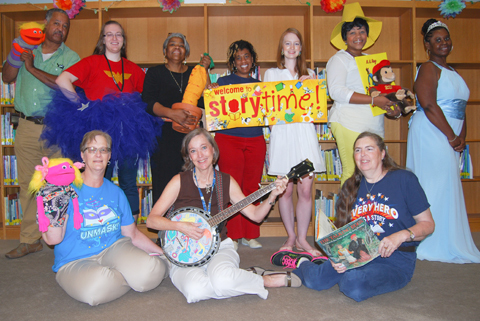 The Birmingham Public Library system offers storytimes throughout the year at several library locations. 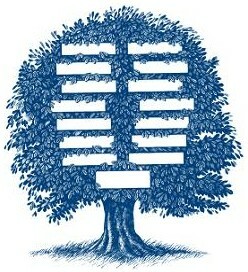 A schedule for all library programs can be found on the website at www.bplonline.org. Families, local day care centers, and church groups are invited to attend. Increases Energy & Relieves Fatigue – Drinking water helps you think, focus and concentrate better and be more alert. As an added bonus, your energy levels are also boosted. 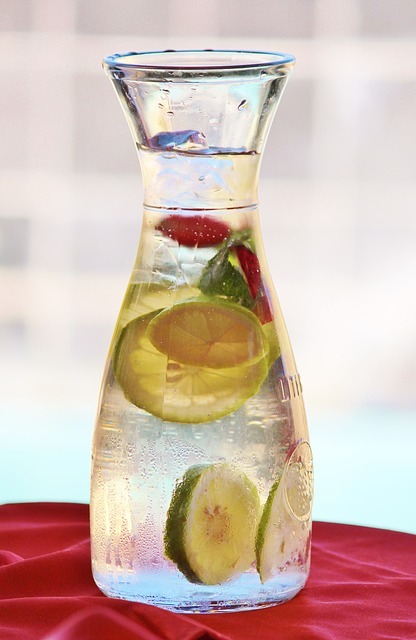 Promotes Weight Loss – Drinking plenty of water reduces food intake if consumed prior to meals. It reduces hunger, raises your metabolism and has zero calories. Flushes Out Toxins – Water gets rid of waste through sweat and urination which reduces the risk of kidney stones and UTI’s (urinary tract infections). Improves Skin Complexion – Drinking water helps to moisturize your skin giving you a soft, smooth glowing complexion. Water also helps to get rid of wrinkles. It’s the best anti-aging treatment around! Maintains Regularity – Drinking water improves the functioning of the gastrointestinal tract. It aids in digestion and prevents constipation. Boosts Immune System – A heavy water drinker is less likely to get sick. Drinking plenty of water helps fight against the flu, cancer, and other ailments like heart attacks. Natural Headache Remedy – Water helps to relieve headaches and back pains which are commonly caused by dehydration. Prevents Cramps & Sprains - Proper hydration helps keep joints lubricated and muscles more elastic so joint pain is less likely. Puts one in a Good Mood – Feeling down in the dumps? Drink more water. It helps the body function at its best, which will make you will feel better and improve your overall mood. Relieves Hangover- Drinking water works as a simple yet effective way to get rid of hangover. Water helps rehydrate the body and speed up recovery. There are several good books, DVDs, and web pages available that cover this subject in great detail. One especially good book that I read is Water: The Foundation of Youth, Health, and Beauty by William D. Holloway Jr. Remember to drink plenty of water this summer for a healthier, hydrated you. The July Bards & Brews Slam will return to the Birmingham Botanical Gardens. Beer provided by Cahaba Brewing Company. The event will be held in the main building of the Gardens, in the Auditorium. $5 to Slam, Free to attend. $200 first place, $100 second place. 18 to attend, 21 to drink. Zach, Alice, and Poppy are best friends, on the cusp of adolescence. They meet every day after school at Poppy’s house to continue an ongoing roleplaying game with their action figures. Poppy provides a rich storyline while the other kids' action figures play as characters in her world (think a homemade version of Dungeons and Dragons). The storyline revolves around The Queen, a creepy antique porcelain doll that Poppy’s mother has locked in a glass display cabinet. When his father throws away his toys in a misguided attempt at tough love, Zach ends the game abruptly. He is devastated by the betrayal and embarrassed to tell his friends why he can’t play anymore. Desperate, Poppy “liberates” The Queen to entice Zach to play with them again. This is when things get weird. After she is set free, The Queen comes to Poppy in a dream and tells her that she is made from the remains of a little girl named Eleanor. She threatens to haunt Poppy forever if she doesn’t lay her to rest with her family in town miles away. Poppy, who is always up for an adventure, goes to her friends in the middle of the night and enlists their help in returning Eleanor to her hometown. The trio runs away from home and embarks on the adventure of a lifetime. This story has a lot of great things going on. First of all, it is super creepy. 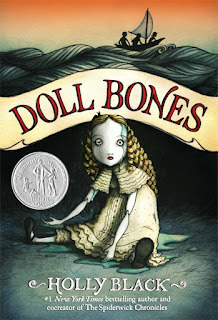 The thought of running away from home in the middle of the night to carry a doll made from the bones of a little girl to a town I’ve never been to gives me the creeps. And I’m an adult! I can’t imagine how a kid would feel about that prospect with almost no money and no experience with the real world and dealing with ghosts to boot! The story also has a lot of heart. Readers get a first-hand look at the way friendships change as kids make the transition from childhood to adulthood. It’s a great story for tweens and kids in their early teenage years. The premise is pretty darn creepy and the description of the issues that plague middle schoolers is spot on. It’s good for both boys and girls and any grownup that enjoys a good campfire tale. Esteemed German art historian, Willibald Sauerlander, an academic with a list of learned papers literally as long as one’s arm, has written a highly accessible book about a shared passage in the lives of two beloved French painters, Edouard Manet and Claude Monet. Having fought for the Paris Commune and the subsequent massacre of the Communards, Manet’s painting had taken a dark turn but next he was drawn to the bright “plein air” painting that was to become known as impressionism. The “plein air” painters had left their studios to paint outside capturing the ephemeral light and color of the natural world directly as they reveled in the moment. Manet was an established studio painter with a mature style, nonetheless, in 1874 he sought out the younger Claude Monet to learn a new way of painting by moving to the village where Monet lived, Argenteuil. There they painted side by side, even painting one another. Manet is celebrated as the painter who bridged realism and impressionism. This book is about the summer when that bridge touched the further shore. Manet Paints Monet is a wonder of accessibility and concision. Sauerlander tells simple stories of the two painters and lets the paintings themselves reveal a magical moment in art history. Manet regarded Monet as the “Raphael of water.” Both men painted Monet’s little boat, his floating studio, where he made “plein air” paintings of the bridges, boats, and shoreline of the Seine River near Argenteuil. But Monet’s paintings were about water and sky and light and reflections whereas Manet’s subjects were of people enjoying this lovely setting. We become part of the creative moments when Manet reconciled his art with that of a younger master, and perhaps, exorcised his memories of the horrors he had endured only a few years before. Manet Paints Monet is short, easily readable and accessible for young readers, yet focused and profound enough for any art buff immersed in the history of painting. The reader does receive a brief tour de force digression on the arcane subject of painters painting painters painting. This discussion places Manet’s painting, The Boat, which depicts Monet painting as he floats on the Seine, into that long enjoyable tradition. This summer you can join Monet floating on his little boat or watch him from the shore like Manet. 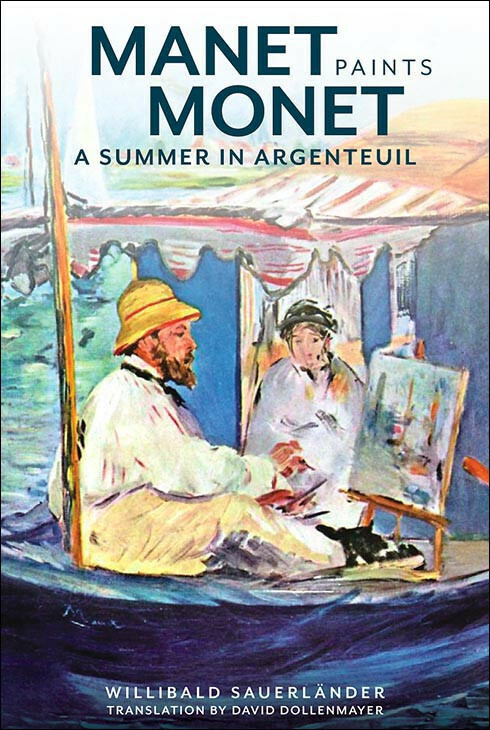 Manet Paints Monet is a sunny book full of sparkling delight. Bullying is a serious matter especially for those who have to endure it. It can affect victims’ self-esteems, performances, and can even lead them to suicide. Though school-aged kids are more prone to bully and being bullied, bullying can take place anywhere and within any age group. Dictionary.org defines a bully as an overbearing person who habitually badgers and intimidates smaller or weaker people. Although this definition, as many others, uses weaker people to describe those who are being bullied, the weaker people, particularly in terms of emotional wellbeing, are those who do the bullying. Many times, bullies face the same issues as their victims; however help is available for both groups. 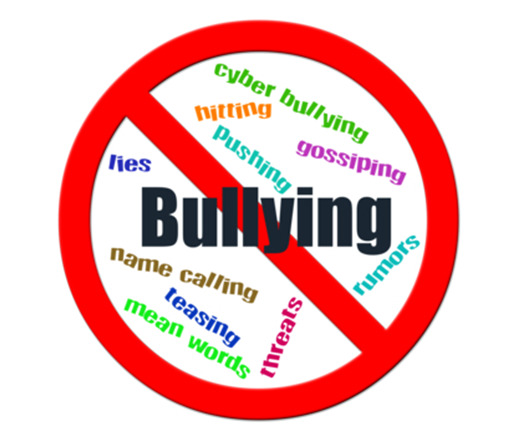 Following are books available at Birmingham Public Library and online resources to provide an understanding of what bullying is, the effects, and how to it can be prevented and solved. During a three-day period in late April 2011, a string of tornadoes tore across the Southeast and killed over 300 people. In this chilling chronicle of the disaster, the author pours her heart into describing the devastation wrought by the storms, and in the process, shows how so many lives were changed, some beyond all recognition. 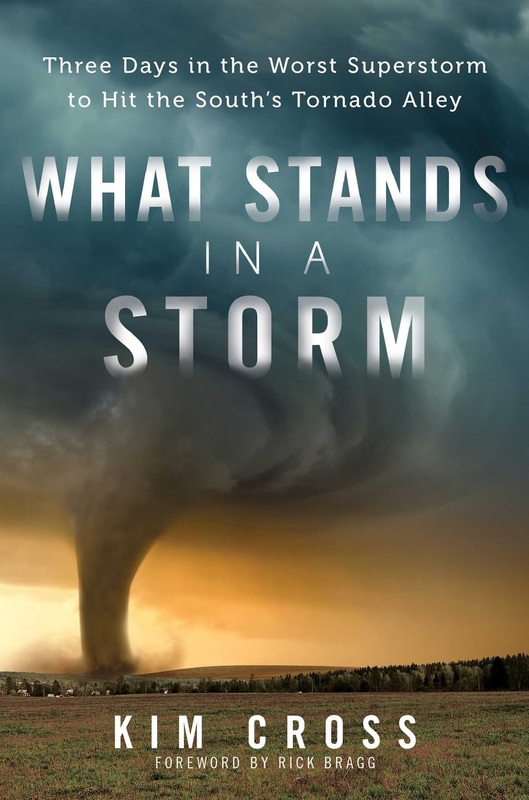 While there are some descriptions of death here that are rather graphic, the author refuses to cross the line into sensationalism, and instead focuses on the overall emotional effect these tornadoes had on the region. The work ends on a note that is sobering, but cautiously optimistic, making it a suitable read for those looking to commemorate victims of the April 27th storms. Beat the Heat and Learn Something at the Same Time! Everyone who has spent summers in the South knows that July can be a scorcher when it comes to temperatures. The Southern History Department invites you to enjoy the cool air conditioning on the 1st floor of the Linn Henley building for our Introduction to Genealogy classes. We will teach this class on Tuesday, July 7th at 11:30 am and again on Sunday, July 19th at 2:30 pm. In this class, the staff from Southern History Department covers such topics as vital records, courthouse and church records, the Federal Census, and much more. Emerge from this class refreshed after spending an hour in air conditioning as well as having learned how to get started with genealogy. We will also be teaching Introduction to Genealogy at Trussville Public Library on Thursday, July 9th at noon. Come in from the heat, bring your lunch, and enjoy the provided drinks and dessert while learning at the same time. For more information and to register, call the Trussville Public Library at 655-2022 ext 3. Is your calendar already full for these dates? We offer Introduction to Genealogy throughout the year, and you can check the schedule to see if there is a date that works for you. Just a warning some people find the library rather chilly, so it is perfectly okay to bring a sweater, even though it is July and you could probably fry an egg on the sidewalk. Make the library your destination to beat the heat, and enjoy all the Summer Reading programs that we have for kids, teens, and adults. Alabama native uses bold color, texture, and depth to give layers of meaning. To Create. To Desire. To Grow. To Nurture. To Dream. To Inspire. These words are not a slogan; they are the titles of paintings . . . paintings that fluidly progress in color, brushstroke by brushstroke. From July 9, 2015 through September 4, 2015, the Birmingham Public Library will showcase the work of local artist Matthew Mayes in the Central Library’s Fourth Floor Gallery. Arresting acrylic paintings bold in color, texture, and depth make up the exhibition Layers of Meaning: Paintings by Matthew Mayes. The public is invited to meet the artist at the opening reception on Sunday, July 19, 2015, from 2:30 p.m. until 5:00 p.m., in the Central Library's Boardroom adjacent to the gallery. Visitors will see why Mayes considers his work to be "studies in color perception, definition, and composition." Bath-time books – We did this a lot when my boys were small. Both of my sons went through phases when they had a hard time sitting still for stories. It occurred to me that bath time could be a great opportunity since the kids weren’t going anywhere while they were happily playing in the tub. Bath, beach and water themed books make it even more fun. Backseat buddies – I keep books in the backseat of the car for the kids. This gives them a way to entertain themselves while being chauffeured around. Sometimes my oldest reads me a story while I’m driving. If you can’t beat them, join them – If your kids would rather watch TV or a video, roll with it. Turn on the closed captions so they can read along. Hearing the words spoken while they’re reading helps to reinforce learning. And if they enjoy playing on the computer or a mobile device, try interactive e-books and reading apps like Tumble Books, Reading Rainbow and Disney Story Central. And don’t stop there – Find library books about the movies and characters they love to enhance the experience. Campfire stories – Sometimes we camp out, and sometimes we just pretend to camp out in the living room. The boys like eating marshmallows whether we’re actually roasting them or just sticking them on drinking straws and holding them next to the camp lantern. This is another great opportunity – no electronic distractions, and reading spooky stories by flashlight is just so much more exciting. Have fun with it! -- The important thing to remember is that reading should be a treat not a chore.